I cannot believe that this Christmas Gift Guide marks my third one, and that 2018 is almost over! Where has this year gone!? That being said, Christmas is my favourite time of the year and I wouldn’t be classed as a true blogger without bringing you a Gift Guide now would I? This Gift Guide contains many wonderful gift ideas such as skincare, fragrance, and scents for your home! 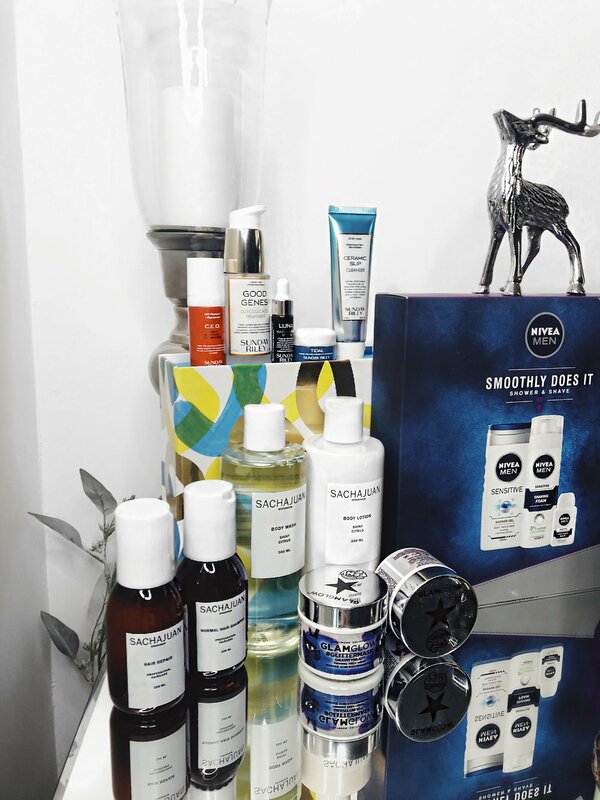 One of my favourite newly found skincare brands of 2018: Sunday Riley! The Tidal - Water Enzyme Brightening Cream has become a new staple in my skincare routine and I love the fresh glow that it gives my skin and how hydrated my skin feels afterwards! To purchase, click here. One of my favourite haircare brands, SACHAJUAN have put together this special Holiday Body Collection which features: Normal Hair Shampoo 100ml, Hair Repair 100ml, Body Wash Shiny Citrus 300ml and Body Lotion Shiny Citrus 300ml. My personal favourite from this Holiday collection is their Hair Repair as my hair is bleached which means that it can often feel dry and limp, so the Hair Repair helps to restore it back to its natural state feeling healthy again! To purchase, click here. I find that the Sensitive Shaving Foam from Nivea is the perfect way to ensure that my skin feels smooth without irritation, whilst the Sensitive Post Shave Balm helps to cool my skin down! Both of these products have 0% Alcohol within them meaning that there is no burning sensation and this Gift Set also comes with the 250ml Shower Gel which can be used for Body, Face & Hair. To purchase, you can find this Gift Set at a local drugstore such as Boots or Superdrug! It wouldn’t be Christmas without a little bit of camp and sparkle right!? These little Glitter Masks from GLAMGLOW are a fun way of getting all of the benefits of their original GRAVITYMUD™ Firming Treatment and help to make the skins contours look more defined after use. I have had a lot of fun using these with friends as they are a great addition for a pamper night! To purchase, click here. When I first smelt Orange Bitters a few years ago, I will admit that it wasn’t my favourite scent and I found the opening a little too sharp for me, but after spraying it again this year on a whim, I fell in love with it! A cosy, warm fragrance that has a longevity of 5-6 hours on my skin with a sillage that feels light-medium and is guaranteed to get you a compliment or two! To purchase, click here. Containing the iconic fragrance ‘Man’ in both Eau De Toilette (50ml) and All-Over Shower Gel (100ml), this gift set is ideal to splurge out on a treat for yourself or a man in your life who enjoys smelling fresh with a woody twist! To purchase, click here. Another offering from Jimmy Choo, this time in the female form! Perfect for the special woman in your life who will feel luxurious by wearing this with the notes of Pear Nectar, Sweet Italian Orange, Tiger Orchid, Toffee and Indonesian Patchouli. To purchase, click here. This gift set by David Beckham contains the Eau De Toilette (40ml) and the Shower Gel (200ml). The fragrance contains notes such as Bergamot, Cardamom and AmberXtreme which has a sophisticated feel, perfect for an evening! To purchase, click here. An elegant fragrance for an elegant woman that feels fresh and floral with notes of Peony, Orange Blossom which then dries down into a muskier take with the note of Sandalwood finishing the fragrance off on a confident note! This gift set contains the Eau De Toilette (30ml) alongside the Body Lotion (75ml). To purchase, click here. Top Notes: Elemi, Caraway, Pimento Berry. Middle Notes: Frankincense, Cedarwood, Guaiac Wood. Base Notes: Vetiver, Patchouli, Sandalwood. For me, out of the two, this one is my favourite! It just screams Christmas and has a spicy feel to the scent which leaves the room smelling wonderfully festive and cosy! To purchase, click here. Top Notes: Juniper Berry, Violet Leaf, Elemi. Middle Notes: Pine Tree, Cedarwood, Clary Sage. Base Notes: Balsam, Oakmoss, Musk Notes. To me, this candle epitomises ‘Winter Wonderland’ and has a real green, earthy tone to the scent! To purchase either of these, click here. When I first saw the name of this candle, I was immediately wanting to get my hands on this! I carry chewing gum around with me everywhere so this candle felt very apt for me. Anyway! When I first smelt this, the notes of Mint and Pink Pepper were the most prominent and when I lit the candle, the scent became fruity and fresh. Perhaps better suited for Spring/Summer! This candle is ideal for those looking for a gift that’s a little quirky and different this Christmas! To purchase, click here. Hand poured, all natural, soy wax candle with a single cotton wick, The Remedy Candle is a fusion of Peppermint, Tea Tree and Eucalyptus Essential Oils. This blend of ingredients aims to help those experiencing the symptoms of a cold, nausea, congestion and sickness. I can vouch for this helping to relieve those symptoms as when I was suffering from a cold, due to the being scent rather overpowering and strong, that despite not being able to smell other things, I could smell this candle! The scent lingers in the air long after it has burnt, and I also love that Chapter Organics are based in Boston Spa, just 30 minutes from where I live! To purchase, click here. All of these are 50g and I have found these to be delightful scents! My personal favourite is the Vanilla Gingersnap, creamy with a spicy kick! To purchase, click here for a list of places to buy from. I hope you have enjoyed my Christmas Gift Guide this year as much as I have enjoyed putting it together! All that’s left to say now is, have a fabulous Christmas! 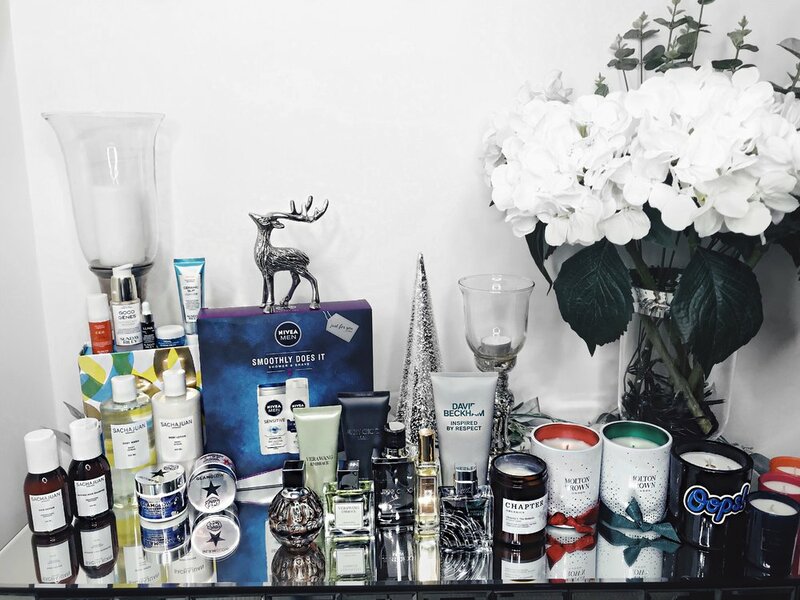 Have you got your hands on any of these gifts mentioned in my Gift Guide? Are there any you would love to try out? Do you have your eye on any of these for yourself? Do you like my choices this year? Let me know your thoughts below as I would love to hear from you, and don’t forget to click the ‘like’ button! I had the absolute privilege of being able to attend the House 99 by David Beckham Launch earlier this year. 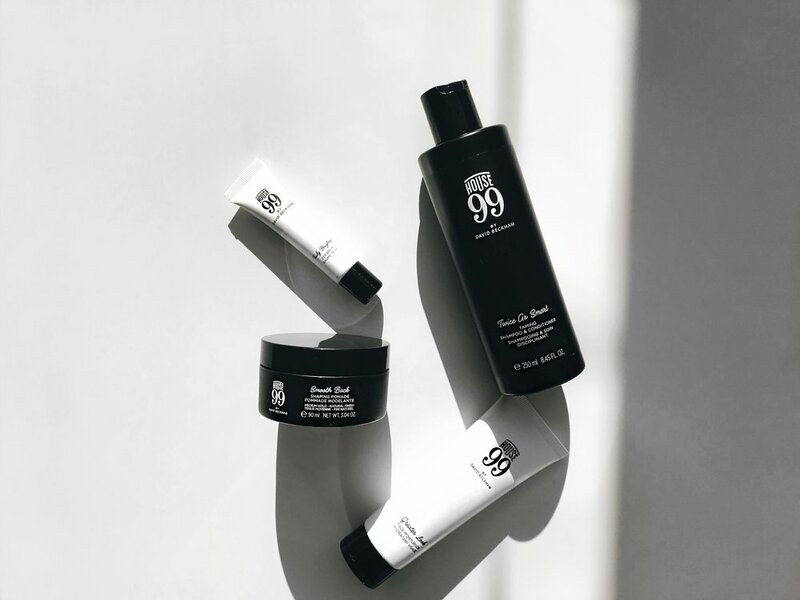 Held at Harvey Nichols in London: Knightsbridge, it was a definite ‘pinch me’ moment as I was there to learn more about the House 99 range as well as being in the same room as David Beckham! Mind = blown. I managed to get my hands on a few goodies from the House 99 range and have spent the past couple of months trialling them out to get a well rounded opinion/view on these. Prior to using the Face Moisturiser, I used a cleanser to ensure that my skin was product-free to allow the moisturiser to absorb into my skin properly. I massaged the moisturiser into my skin and what I liked about the texture was that it was very lightweight and non-greasy! Once massaged into my skin, my skin felt hydrated and appeared slightly matte with my skins natural shine from the cleanser having been reduced. I preferred applying the Face Moisturiser in the morning as opposed to the evening as I felt it worked best for my skin throughout the day! I often struggle to find an Eye Balm that actually works as ones I have tried out previously have caused eye irritation the next morning from having seeped into my eyes overnight! Not exactly comfortable nor is it great when people presume you’ve been out the night before… Anyway! This Eye Balm has been formulated with Caffeine and Mica, both which help to reduce the look of fatigue and brightens up the area. I applied this using my ring finger across my orbital bone and found that it easily absorbed into my skin and didn’t irritate my eyes! I didn’t notice a huge difference with this however, but I did feel as though it gave a ‘blur’ effect and softened the harshness of discolouration under my eyes. An easy but effective way of ensuring your hair is thoroughly cleansed properly with this 2-in-1 shampoo and conditioner! The scent is quite woody yet fresh and lingers in your hair afterwards which was a nice touch I found. My hair also felt really clean and any product build up had been minimised! My hair is rather fine so when it comes to styling it requires some tough hold to it! I tend to lean towards pomades and clays when it comes to styling. I found with this Shaping Pomade that it was manageable and easy to use, however didn’t stay in the particular hairstyle that I wanted it to for long and it didn’t have much of a hold on it… Perhaps best used for a different hair type? 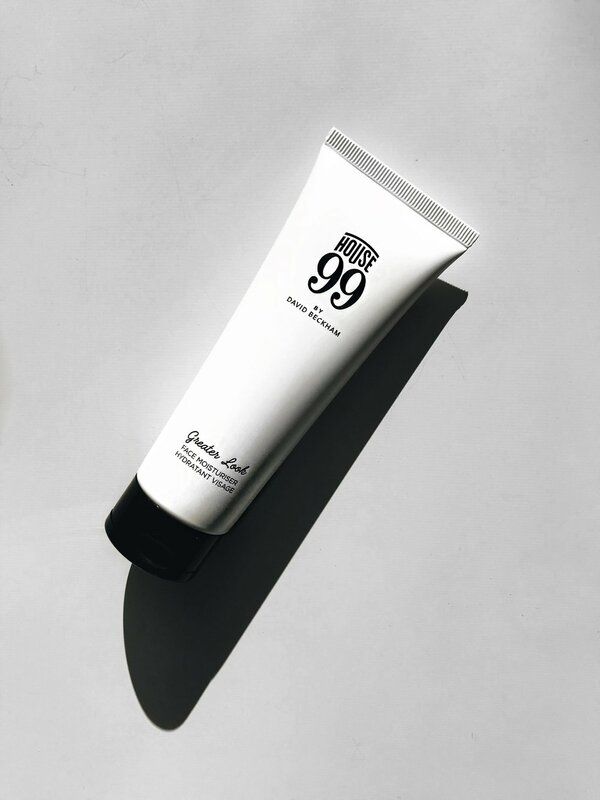 Overall, I have really enjoyed using the House 99 by David Beckham range and I don’t think that the price point of each product is too bad neither considering it is by David Beckham! Easy to use, neatly packaged and effective products. To find out more about what House 99 by David Beckham stand for, click here! 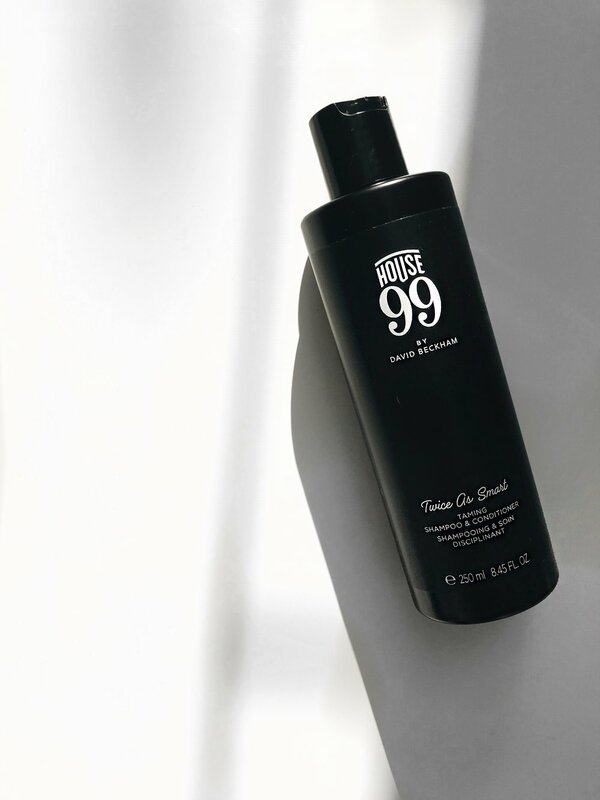 Have you tried any of the House 99 by David Beckham products before? If so, which ones? Are there any you think I need to try? Let me know! Don’t forget to click the ‘like’ button below, and leave me a comment too as I would love to hear from you! I wanted to compile a little Guide of some of my favourite fragrances that you need to look out for this Spring Season! The opening of Only The Brave: High begins with a fresh, citrusey burst that soon settles and dries down into a more woodier and spicy feel. The longevity of the fragrance lasted for up to 5-6 hours upon my skin which I found rather impressive in terms of how light it felt, and the sillage was light-medium which I would have expected given that Only The Brave: High is an Eau De Toilette! I found the fragrance to be better suited for daytime, and was an overall clean, fresh scent! You can purchase Diesel - Only The Brave: High here. 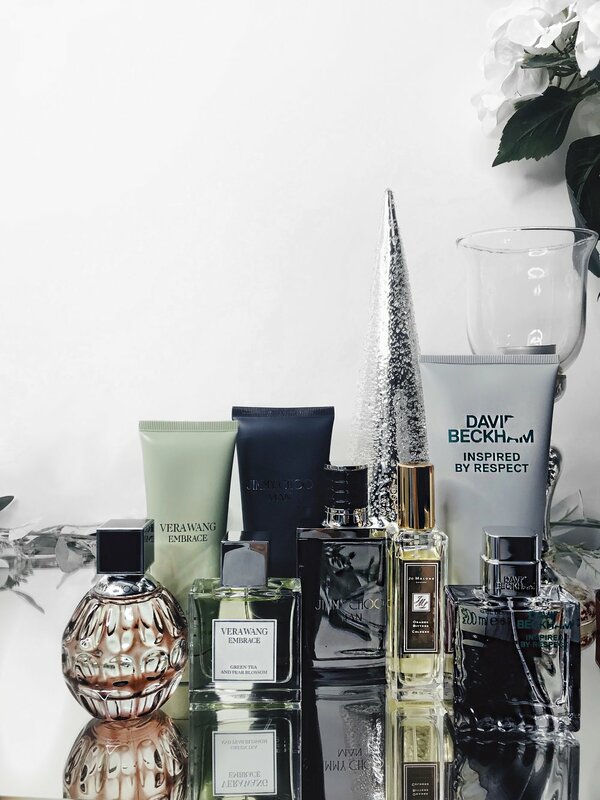 Out of these fragrances listed, the Invictus: Intense is one of those that gained me a lot of compliments! A more intense, powerful version of the Paco Rabanne - Invictus original, but any similarities stop there. I found that this version was more dense, and sat on my skin for up to 4-5 hours. The sillage was medium-heavy, and I found this fragrance to be better suited for a cooler, Spring evening! You can purchase Paco Rabanne - Invictus: Intense here. A strong, earthy fragrance that opens with a sharp burst of the woody and citrus notes. The longevity of Oasis Verte lasted for up to 6-7 hours on my skin, and the sillage was heavy, with a loud projection. I found this fragrance better suited for the daytime. You can purchase Rituals - Oasis Verte here. My personal favourite as Roaring Radcliff certainly lives up to its namesake! The opening of Roaring Radcliff is sweet, and settles with a muskier, smokier feel to the fragrance. A loud projection, that isn't afraid of drawing attention to itself, perhaps more suited for the confident, collected gentleman. The longevity lasted for an impressive 7-8 hours, the longest lasting within this guide! Definitely more suited for the evening/nighttime I found! I also must point out that I particularly love the design of the bottle, unique and quirky! You can purchase Penhaligons - Roaring Radcliff here. Made Of Instinct is a woody, yet fruity fragrance. The opening begins with the sweetness of the Grapefruit note, and soon dries down into a woody, more 'green' fragrance! The longevity of Made Of Instinct lasted for 4-5 hours upon my skin, and the sillage was light-medium. I would recommend wearing this fragrance during the daytime, perfect for that cooler Spring day. You can purchase David Beckham - Made Of Instinct here. I hope you have enjoyed my Spring Fragrances Guide! 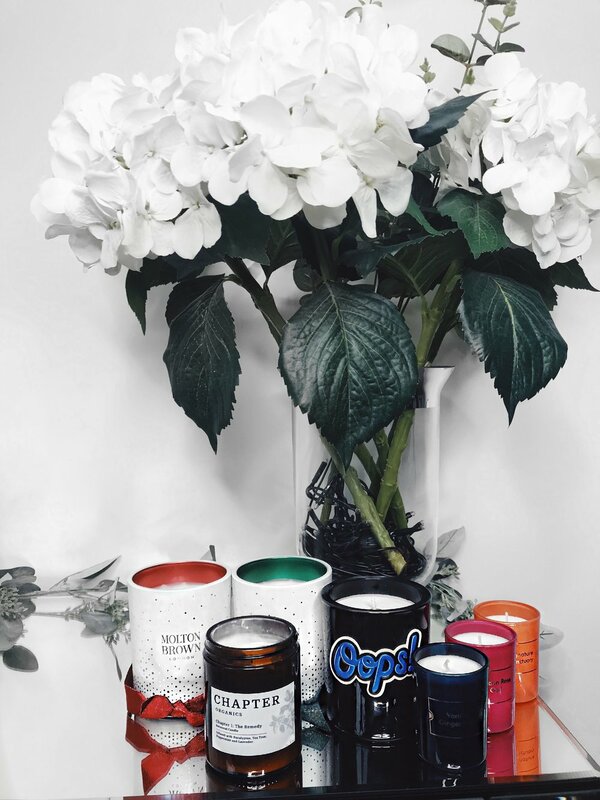 I hope that is has helped and informed you on making some choices when it comes to updating and refreshing your fragrance for this Spring season! Have you tried any of these fragrances that I have featured within my Spring Guide? If so, which ones have you tried? Which is your favourite? Perhaps least favourite? Which worked for you, and didn't work so much? Do let me know, as I would love to hear from you and don't forget to click that 'like' button down below!